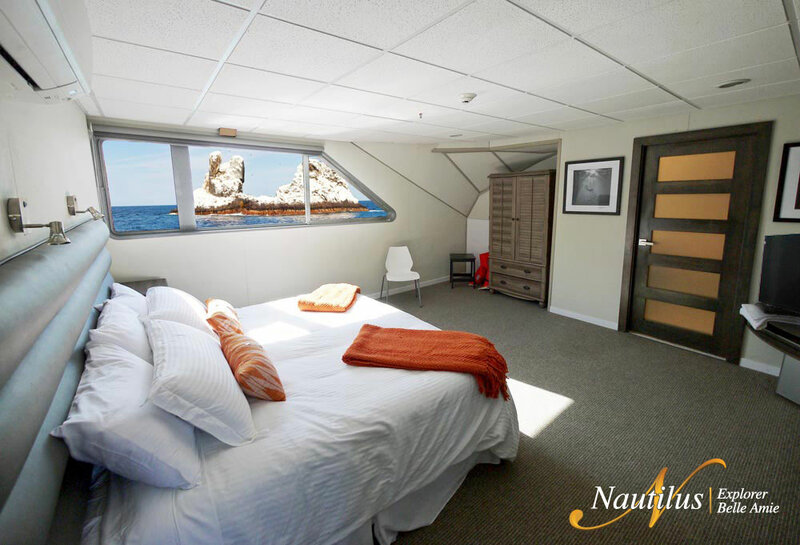 Accommodations : Nautilus Belle Amie – Luxurious Liveaboard Dive with Giant Mantas at Socorro or Cage diving with Great White Sharks of Guadalupe Island. 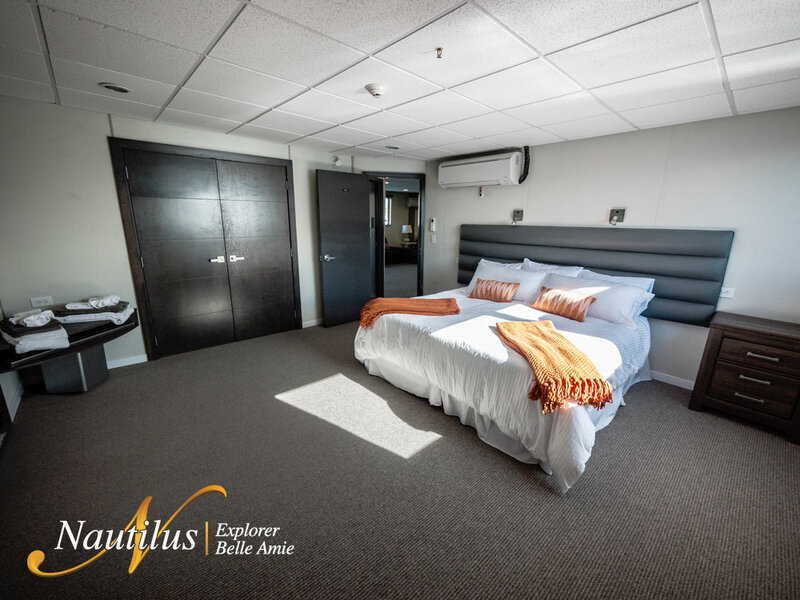 We offer accommodation on the Nautilus Belle Amie to suit all preferences ranging from luxurious premium suites to cost effective staterooms on the lower deck. 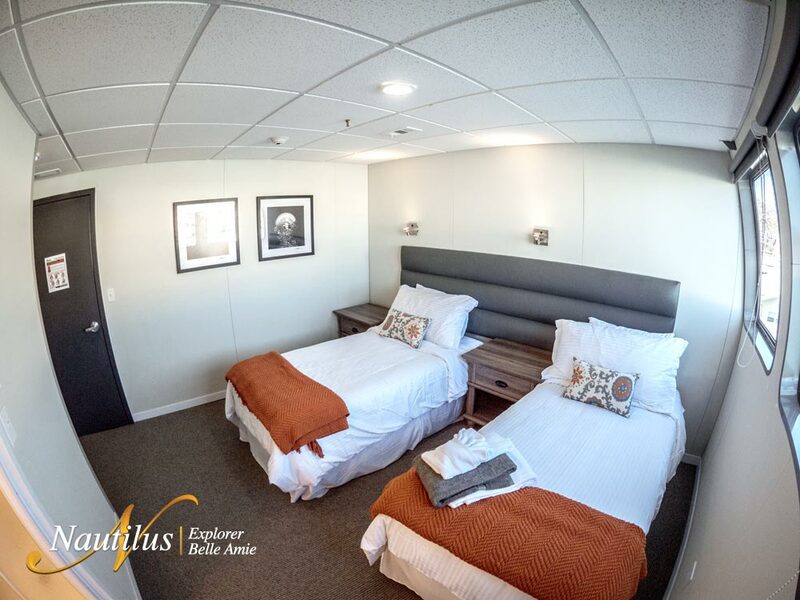 Two spacious premium suites are available on the main deck. 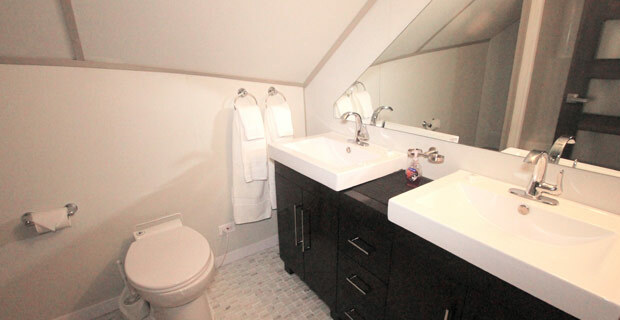 Ensuite bathrooms with showers and double sinks. 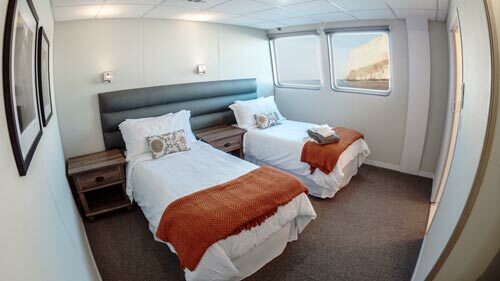 Large windows, plenty of sunlight, large storage area and personal flat screen TV. 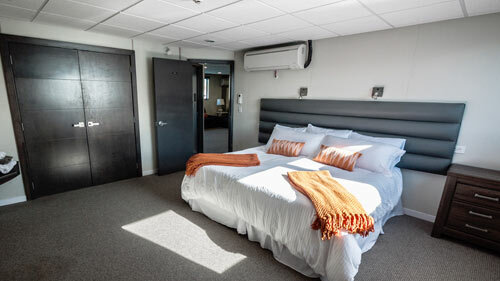 Available in single or double occupancy. 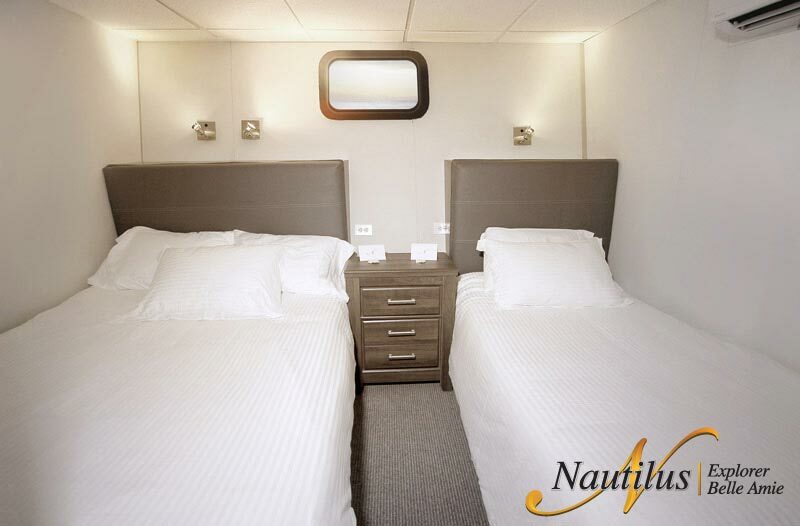 The Nautilus Belle Amie has 5 superior suites on the upper deck. 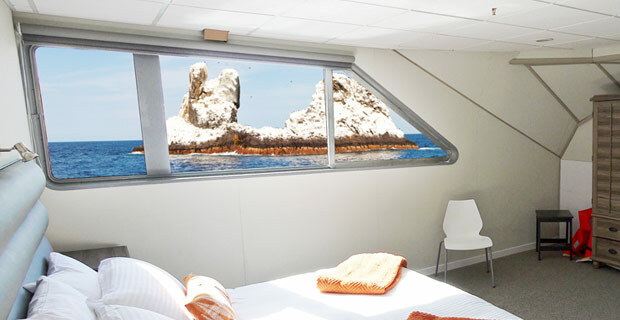 Superior rooms have large double windows. 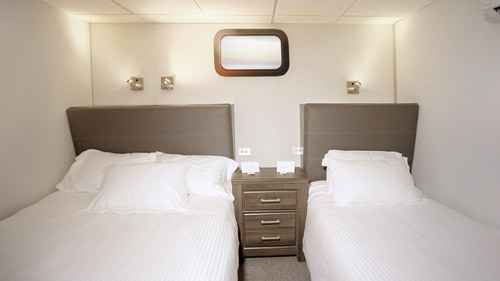 Photo shown is double occupancy, single also available. 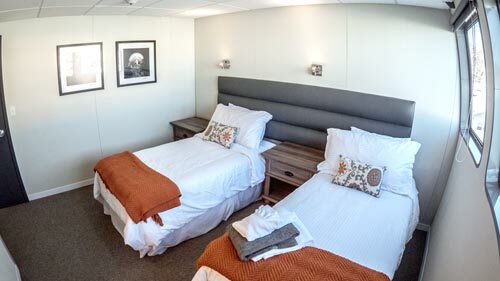 The lower deck has 8 comfy staterooms with various bed configurations (single and double occupancy). 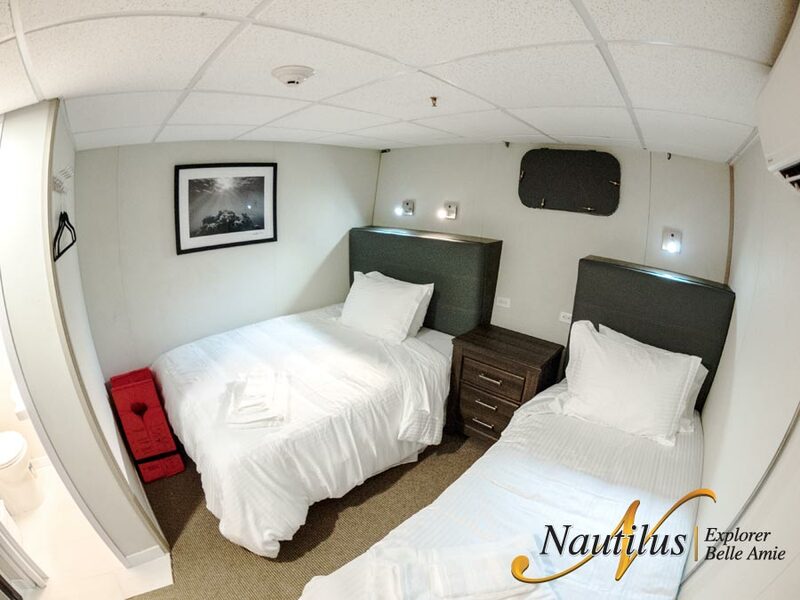 An affordable triple occupancy stateroom is also available (not pictured). 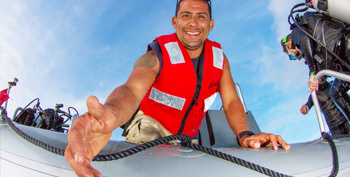 A dedicated and enthusiastic crew of men and women from around the world. 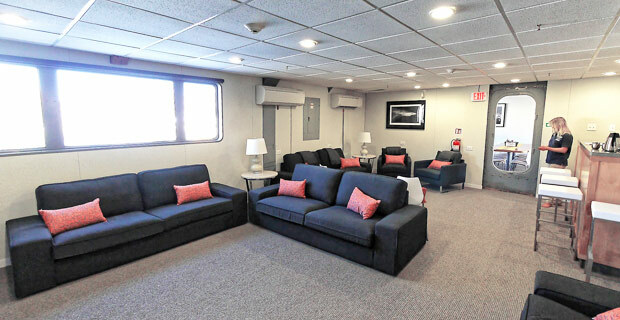 By far the largest and most spacious interior in this class of liveaboard. 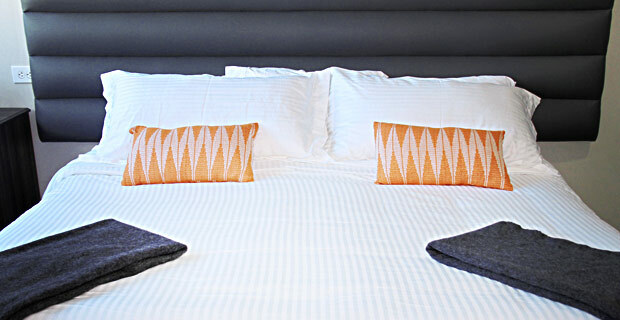 Beautiful bedding, and comfortable details. 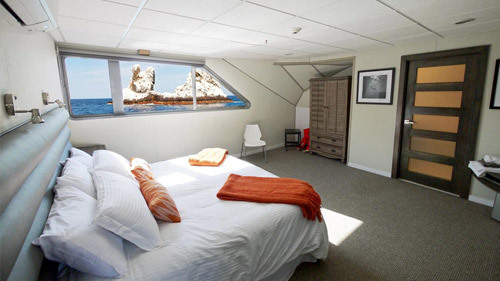 Windows and/or portholes in every room.
" 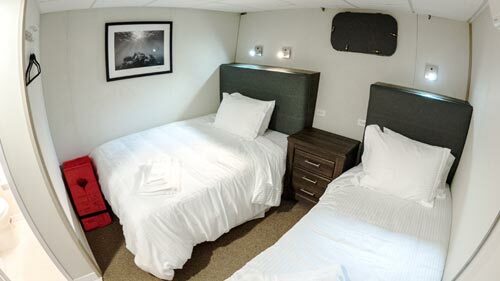 The ship is by far the best live aboard ship I've travel in. 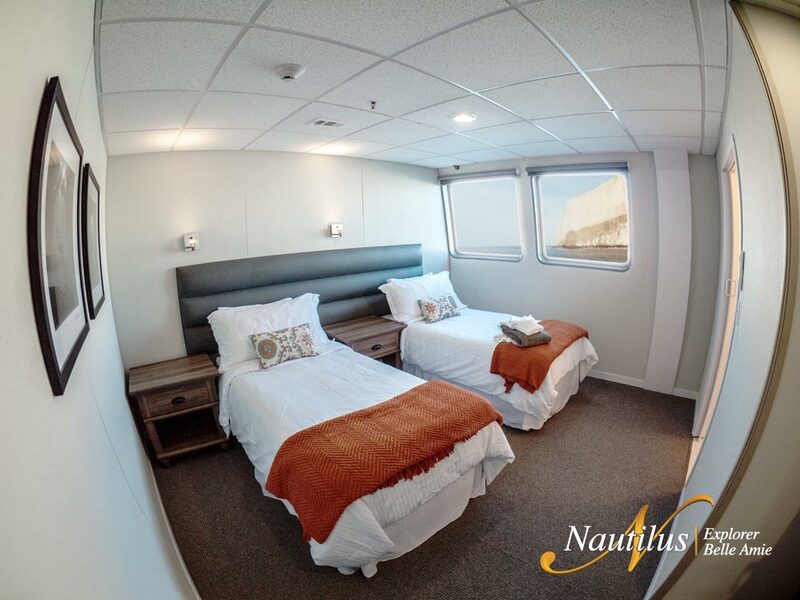 Beautiful interior and exterior with plenty of room to find a secluded place aboard to spend time alone and reflect on the amazing dives of the day.  The crew was phenomenal, the best of any land or sea based operation I've ever been on. Thank you all for an unforgettable trip of a lifetime. 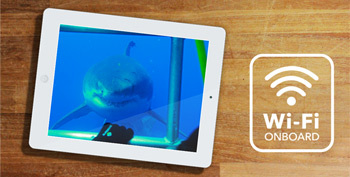 I bonded with most of the passengers and crew and made friends of some for a lifetime I'm sure."